On 25th April Saturday around 11: 43 am local time, a 7.8 magnitude earthquake ripped through Nepal, bringing death, destruction and misery in its wake. To date, over 8,000 people have lost their lives, thousands more are injured and hundreds of thousands have lost their homes. The four hardest hit areas in terms of deaths (see official government portal http://drrportal.gov.np/) are: Sindulphulchowk, Kathmandu, Nuwakot, and Dhading districts. 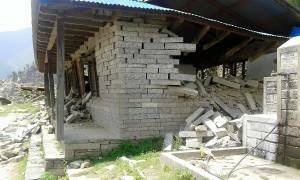 Adding to the misery and death toll, on 12th May, two more earthquakes hit Nepal around 68 km west of Namche Bazaar in the Everest area. NAFA members feel deep sorrow for all the Nepalese people who are suffering at this time. 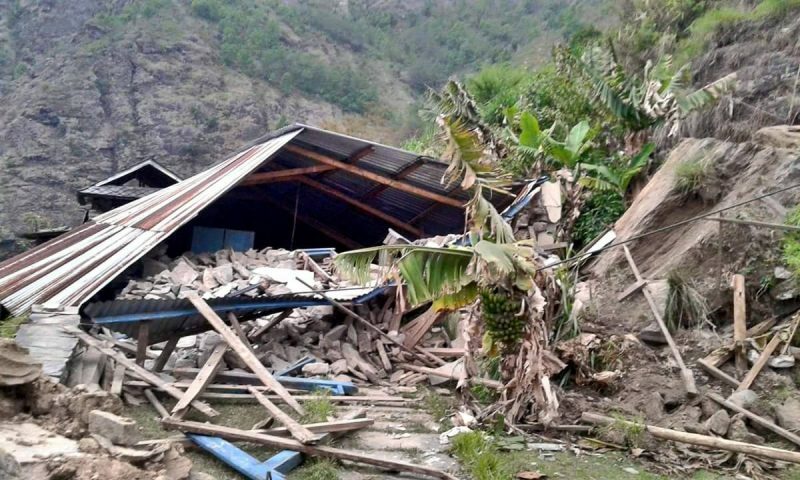 It quickly became apparent that NAFA’s community based projects in Dhading, Sindhupalchowk, Solu Khumbu and Okhaldhunga districts have been damaged. 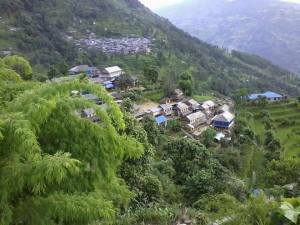 This report focuses on the Dhading District. Tawal and surrounding villages are located in the north Dhading District, just east of Gorkha, and were therefore close to the epicentre of the first earthquake. The people in the area are from the Tamang ethnic group whose livelihood is subsistence farming. The villages do not have road access, so goods must be carried in from the road-head three hours walk away. 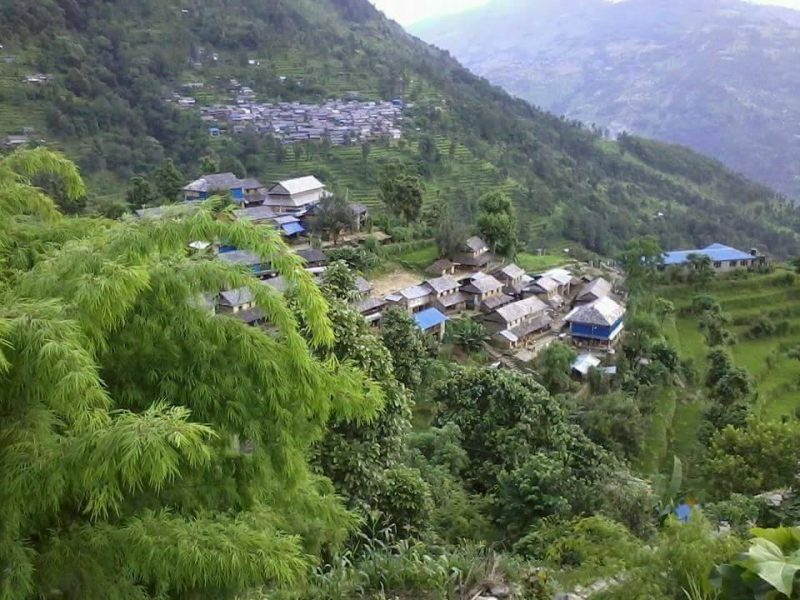 NAFA has been working with Tawal (the largest village in the area) and smaller nearby villages intensively for the last 6 years with the Hilly Region Development Club (HRDC), comprising local village leaders. NAFA’s work in this area is based on an integrated community development model. Fortunately NAFA has already been working in partnership with small overseas NGOs in this area: Smile Back to Me Spain (Spain), NepaleducAid (Austria), and Enfants d’Himalayas (France). In Tawal, NAFA and support groups have come together in various combinations to fund an area school up to Grade 10, funded a health clinic servicing 5 villages in the area, supported teachers and health workers’ salaries, water infrastructure, a micro-hydro system providing electricity to two villages and improved cooking stoves aimed at reducing wood consumption and eliminating smoke in houses. NAFA has also funded the replacement of classrooms in four nearby villages. NAFA executive officers spend a week there in November each year entirely at their own expense, monitoring funded projects and assessing new proposals. In community development terms, these villages were just beginning to move towards the long term goal of economic sustainability, as evidenced by the village initiated establishment of an agricultural and community savings cooperative. The widespread destruction from the earthquake has set back this development progress. 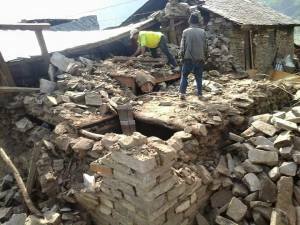 All the houses in Tawal and nearby villages have collapsed/sustained structural damage. Many lives have been lost in these villages (approximately 70 known deaths). Survivors have lost much of the food (maize, millet, rice) stored in the houses.. 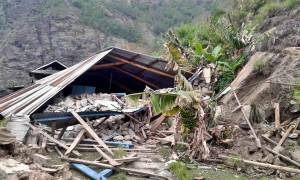 The NAFA built water infrastructure, micro-hydro system, area school and area health clinic, as well as replacement classrooms and school rebuilds in other villages are very badly damaged/destroyed. After several days helicopters landed to pick up those seriously injured. 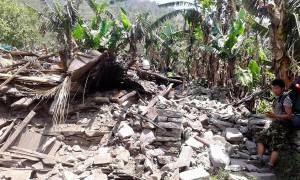 Landslides triggered by the earthquake have damaged trails to the village. However the road to within 3-4 hours walk of Tawal may be opened in 5-10 days for a short time before the monsoon arrives sometime in June. The monsoon will close the road until September. 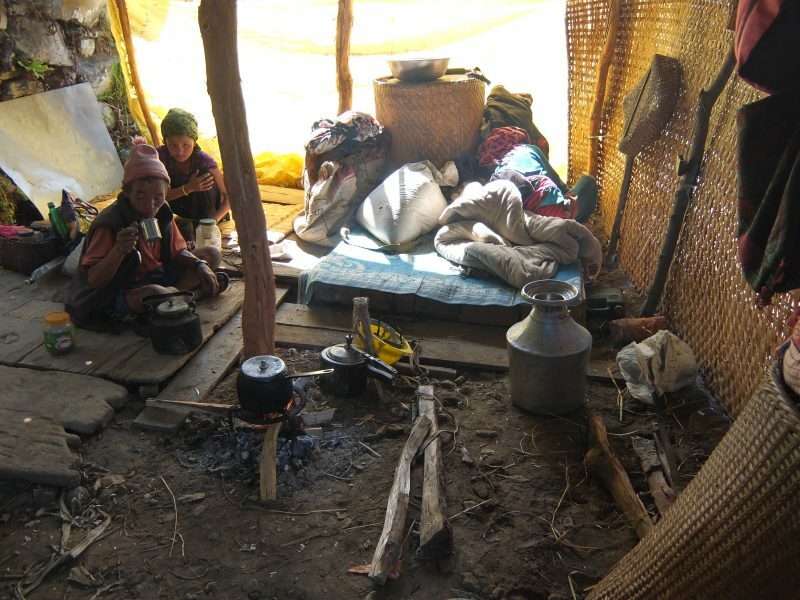 The villages urgently need sturdy shelter since they are now mostly finding refuge in non waterproof, makeshift shelters with the monsoon looming. Two weeks after the earthquake, an NRNA (Non-resident Nepalese Association) medical team reached some of the villages and the UN provided more food from its base at Chimchook (3 hours away from Tawal and 5-6 hours away from other villages in the VDC). 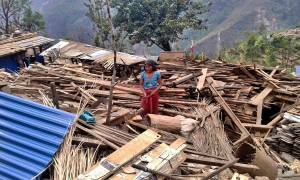 There are 1,173 households (approximately 6,000 people) needing assistance for 25 villages in the area. The villagers have asked for roofing iron (which will last up to 15 years) to provide the basis for building their own structures from local materials. This is needed before the onset of the monsoon. 1.5 bundles of roofing tin costs 9,000 Nrs ($120) which is enough for one family. When the road is temporarily open, it is planned to bring in 2 trucks from the district headquarters (Dhading) loaded with the roofing tin and beaten rice (50 kgs per family = 2,500 Nrs = $33 per family). Families will come down to the end of the road head to collect the items. The total cost is estimated to be approximately AUD $170,000. This amount of money requires a multi group appeal. Chandra has been proactive in fundraising, activating his own networks of people who have trekked with his small agency. They have generously donated over $15,000. The response has been marvellous. The Nepalese Association of Qld (NAQ) early decided to donate $17,000 of its earthquake appeal funds to this area since the needs were known and verifiable and NAFA had a long established relationship with the self help HRDC group. 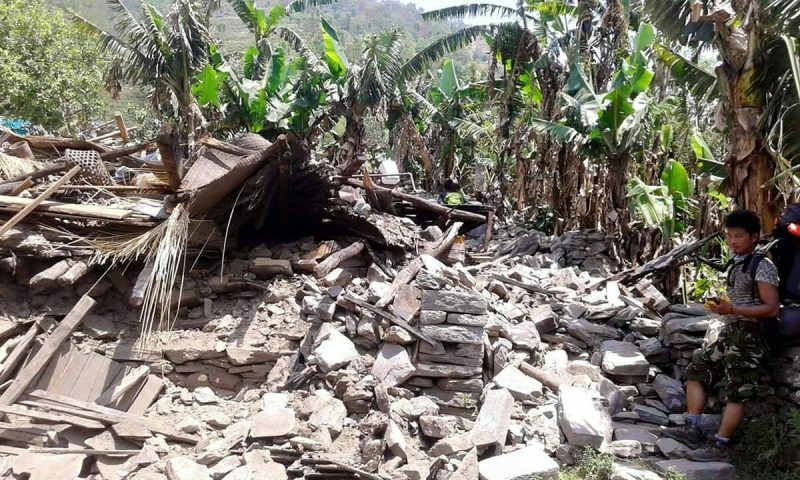 NAFA has allocated $13,000 of its earthquake appeal funds towards the immediate needs of this area, as well as another $10,000 sourced from earmarked donations received by NAFA from Chandra’s former trekking clients. The roofing iron was ordered on 18 May 2015 with Chandra sourcing the best prices from roofing tin manufacturers and negotiating a discount for the bulk order. The roofing iron will be stamped with an acknowledgment of the major donors for this project, including NAFA and NAQ. Members of the HRDC are visiting every village in the Ri VDC to double-check accuracy of numbers of households needing roofing iron. The people in these villages are resilient, hardy and proactive. They are suffering, but with help they have the capacity and determination to rebuild their much loved communities. 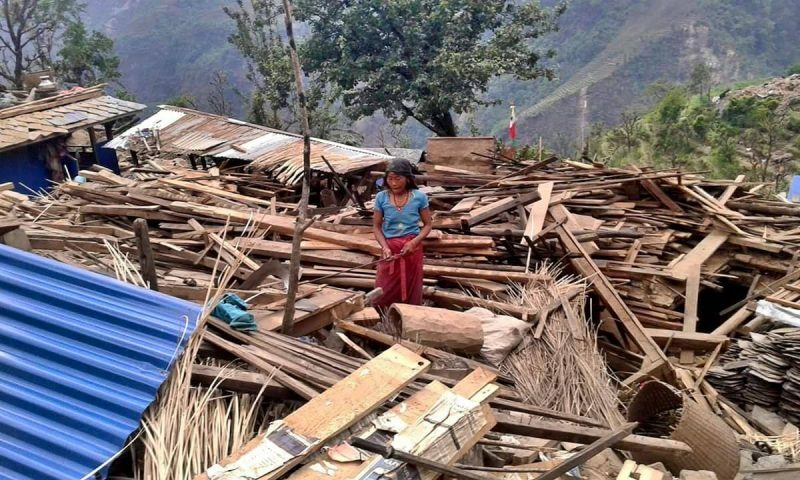 NAFA can be justly proud of its response, and the amazing generosity of so many people who have given unstintingly to help over 6,000 people in 25 villages who have been traumatised by loss of life and property. Heart-felt thanks to all loyal supporters who have and continue to give so generously to people who have lost so much.